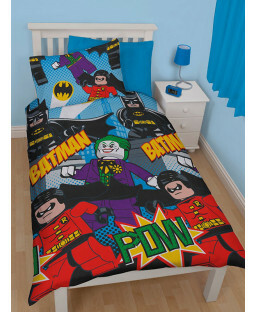 Little ones love our super selection of DC Comics bedroom accessories. 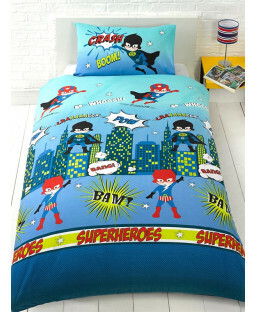 Find all their favourite superheroes in a range of single duvet sets, curtains, lighting and other accessories. 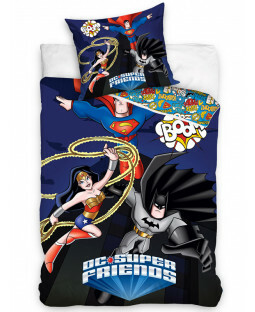 Our official DC Comics merchandise comes with free UK delivery on all orders, so we can bring Batman and friends to your door at no additional cost. 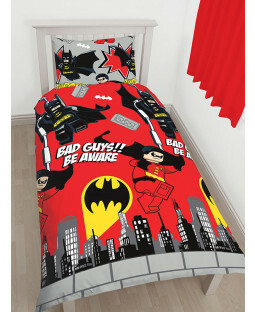 Bring your kid’s heroes to life with our themed bedroom furniture and accessories - we’ve got Batman, Superman, Wonder Woman and the rest of the DC Comics clan. 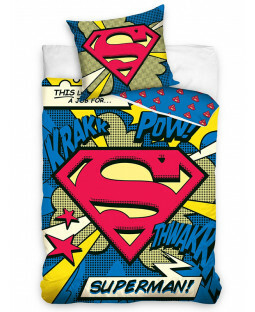 Single duvet and junior duvet sets include Batman and Superman logo patterns, plus the comic characters in cool cartoon designs. 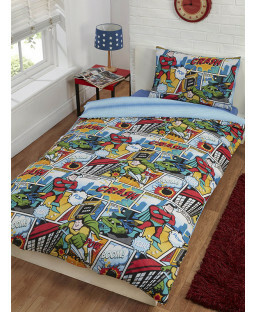 DC Comics curtains also pull together the iconic superheroes rivals. DC Comics wall lights come with a wall-crack sticker for a realistic 3D effect, and include Batman Batarang, logo and mask lights, plus a Superman logo light. Wall murals make a great centrepiece for any room. 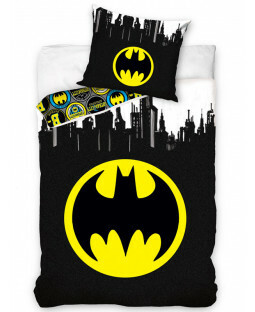 Choose between a detailed Batman wall mural or a Superman wall mural in an authentic comic-strip design. 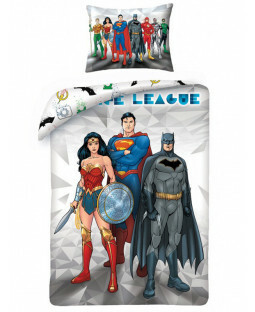 Find a great DC Comics gift at Price Right Home. Lego DC superhero keyrings feature Wonder Woman, Batman, Superman and Harley Quinn in light-up toy figures. 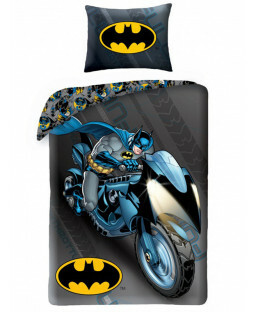 Batman skateboards and matching Batman 3D safety helmets are ideal for mini thrill-seekers. 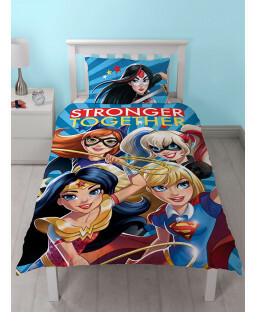 And with our 110% Price Beat Promise, we don’t need help from the DC superheroes to beat the competition.